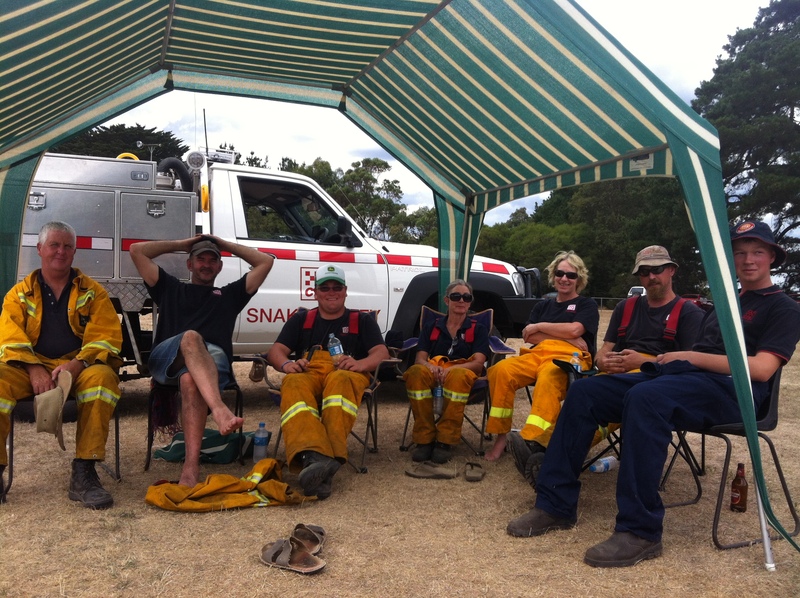 Snake Valley CFA crew, who would have been in the thick of it during the Carngham fire. 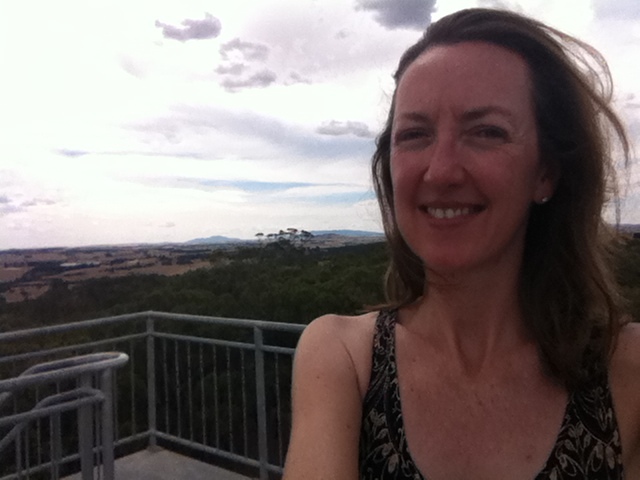 During my first week in my new job, a serious grassfire destroyed several homes, out buildings, stock and fences in a rural part of the Pyrenees Shire – worst hit was Carngham, near Snake Valley. The historic Carngham homestead was one of those burned out – not for the first time in its history apparently. Fortunately no one was injured. It was a stark reminder of this state’s terrible fire tragedy history, and an opportunity to see how communities handle such an event, plus the aftermath and recovery. To stand in a full staff briefing at the Shire offices on day 3 hearing the impact of the fire, plus whom among the staff would be leading what in the recovery team, was sobering. 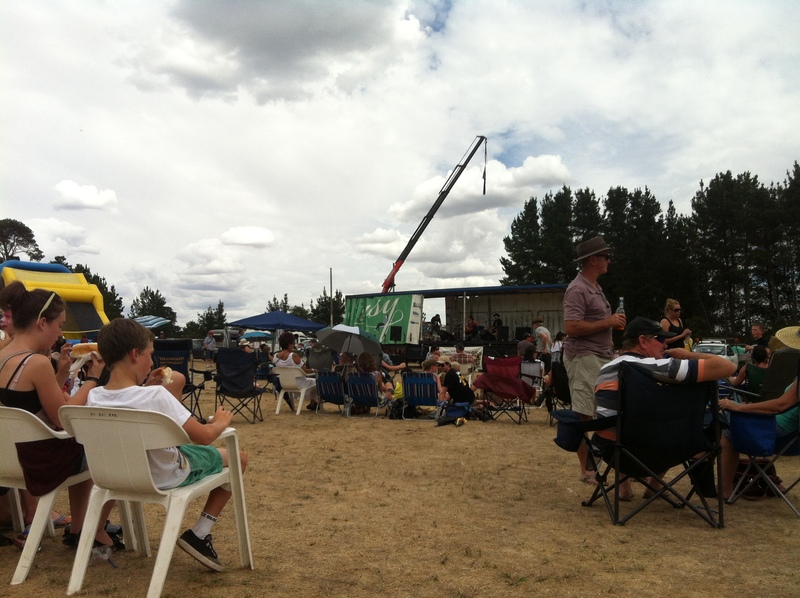 A couple of weeks back, a fundraiser event was held in Snake Valley for those affected by the fire – a fun run in the morning with a “day on the green” style music afternoon/evening to follow. I decided to take part in the fun run for a challenge and to make a contribution – just the 5km distance, which I figured was well and truly enough. As it turned out, that was a hot day and by the start time of 10am it already felt around 30 degrees, so 5km certainly was enough! 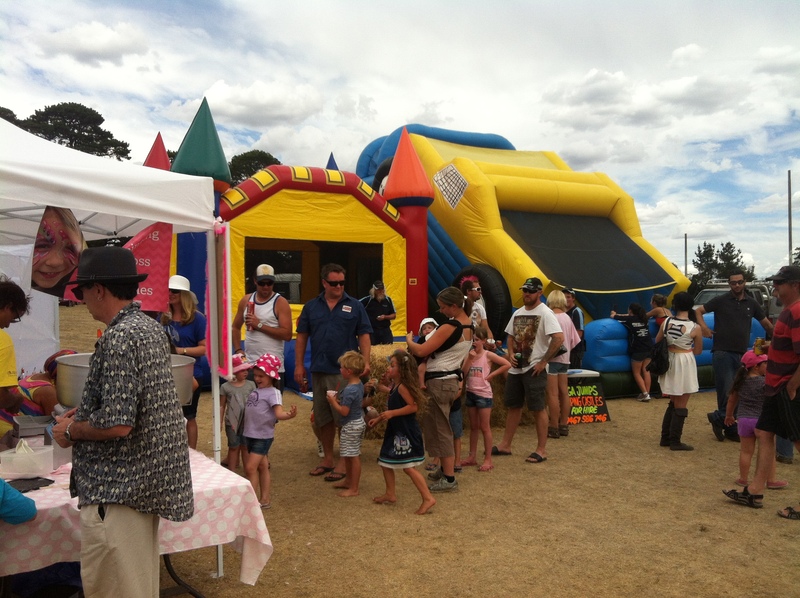 I stayed around to hear a few of the performers but by 3pm it was way too hot for me, so I headed off and decided to have a look around the surrounding towns instead. 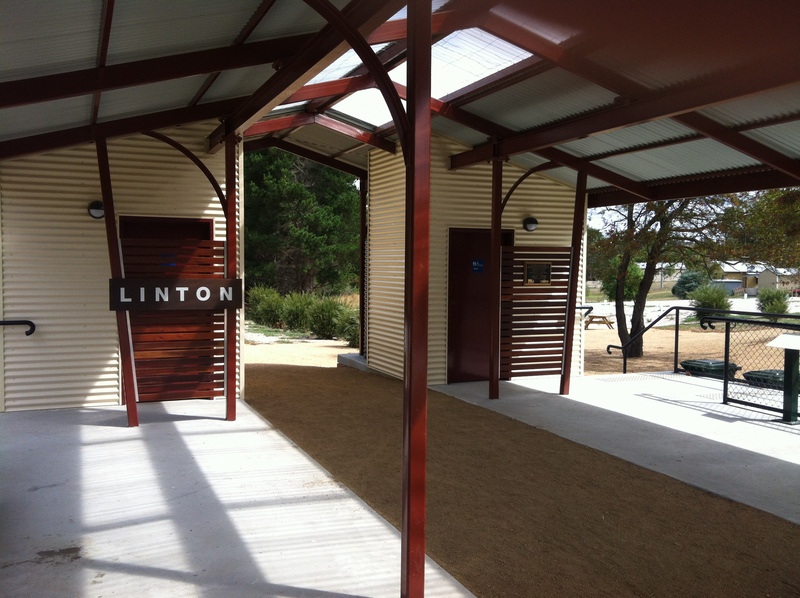 Turning to the south, I drove to Linton where I was really impressed by the recently developed precinct around the Ballarat-Skipton Rail Trail crossing with the main highway there. They’ve done a lovely job of it, with a shelter designed to look like a train station through which the trail runs, toilets, interpretive panels, skate/bmx park and bbqs. I liked the look of the town as I continued through it too, definitely worthy of future investigation. Carrying on I found a viewpoint with an impressive tower on a hill, where I of course had to stop and take lots of photos. Some people just don’t get it! This was a business that clearly was designed to capture tourist traffic, on the main highway right in the centre of town, and she has no interest in promoting what the town has to offer. As I continued to explore the town without her assistance, I read that the garage has tourism brochures and information. How hard would it have been for her to direct me there? 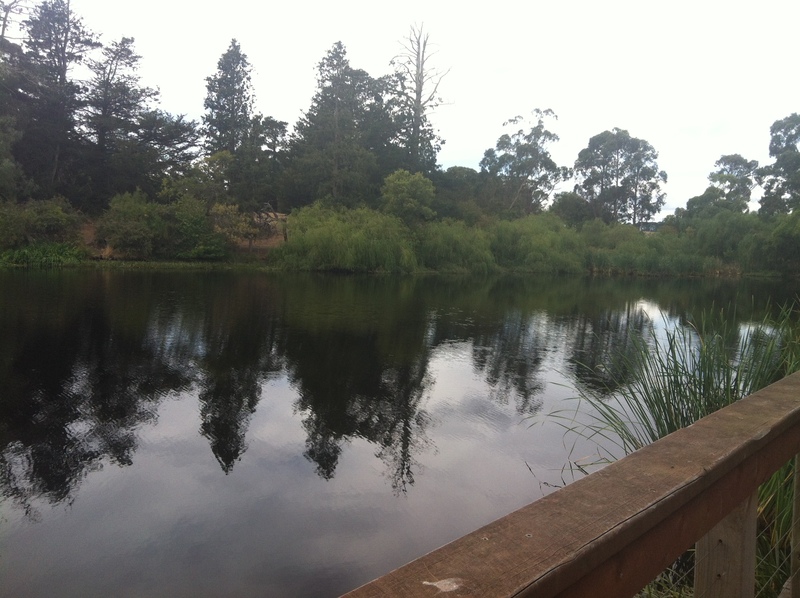 Anyway, so eventually I did find the end of the rail trail – not terribly inspiring compared to the great precinct surrounding this same trail in Linton – and the supposed platypus viewing platform (where the creek was so caked in duckweed I don’t see how anything could have been living in it), the swimming pool where there had been a triathlon earlier that day, the lake which was gorgeous and relaxing and the most expensive fuel I’d seen anywhere for a long time at the local garage! From there it was only a hop skip and jump back to Beaufort and a long shower – well earned! I’m now looking forward to the cooler weather so I can get on my bike to explore the rail trail, but I know one café I certainly won’t be calling on. This entry was posted in Uncategorized and tagged Carngham, Linton, Skipton, Snake Valley. Bookmark the permalink.